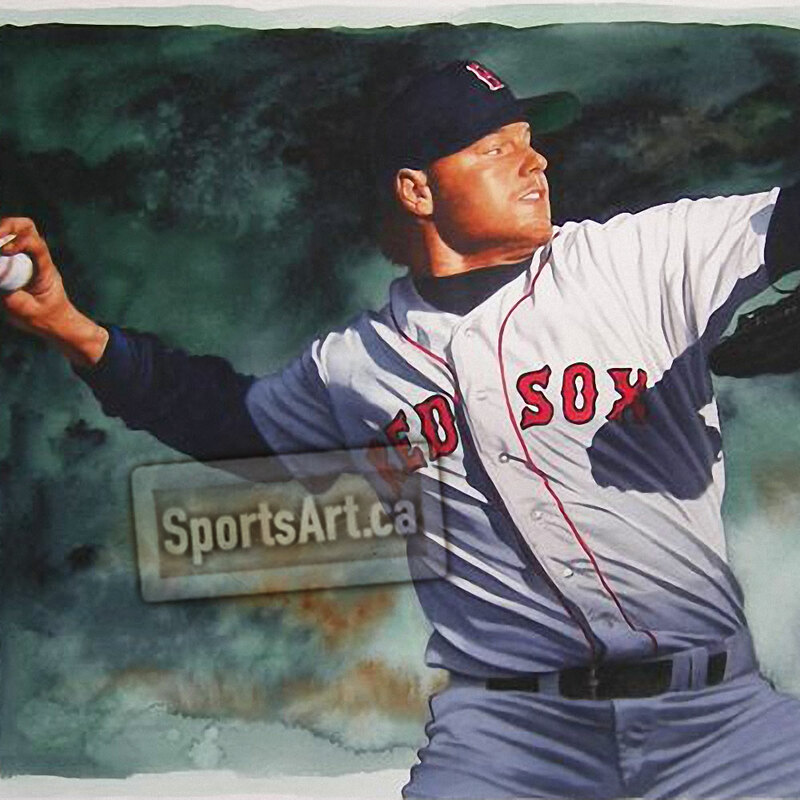 Roger Clemens was one of the most dominant pitchers in major league history. 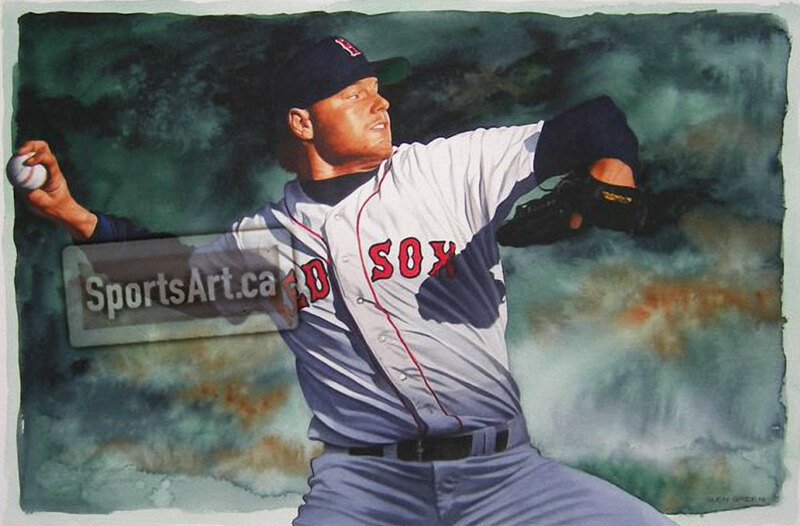 Artist Glen Green captures the intimidating legend in his hard throwing style. Original Framed Watercolour – 24×16"